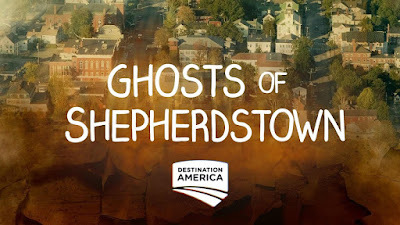 Has anyone else watched Ghosts of Shepherdstown? Rob and I are up to episode 3 and we're really enjoying it. It's creepy and well made. Only thing is, I just went and Googled it and, we're supposed to believe this is real investigation??! Um ... nope. Sorry, but there is no way that's a real paranormal investigation. I didn't know anything about it going in, but Rob and I never even considered that is wasn't a docu-drama type show. It has a story and all the hallmarks of a well thought out drama so far. It strikes me as a "War of the Worlds" kind of thing, drama pitched as reality. Hence the use of real people in the title roles. This entry was originally posted at http://beren-writes.dreamwidth.org/358601.html.